USAID is an independent federal government agency that receives overall foreign policy guidance from the Secretary of State. 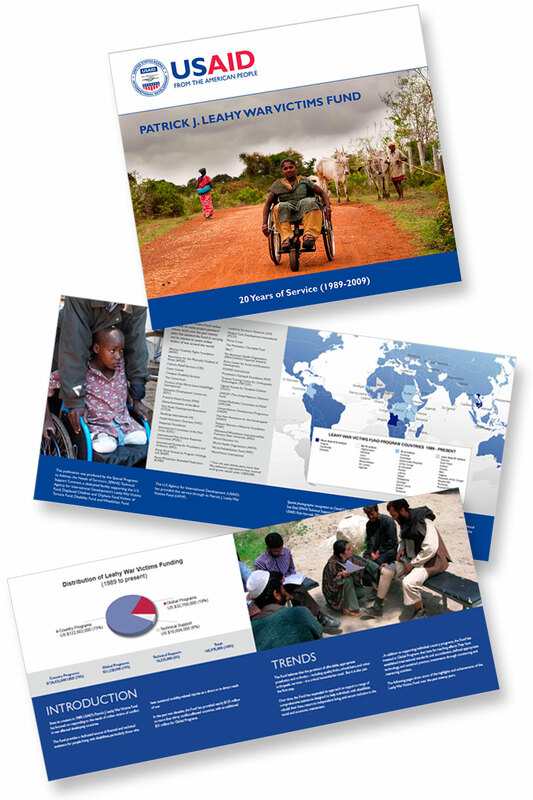 TRUEcs was approached by the Manila Group, government contracting agency, with the honor of designing the Patrick Leahy War Victims Fund Brochure in order to bring attention to the accomplishments and effectiveness of the fund over the past 20 years. Our goal was to design a compelling, dramatic presentation while maintaining adherence to strict existing branding guidelines set forth by USAID.